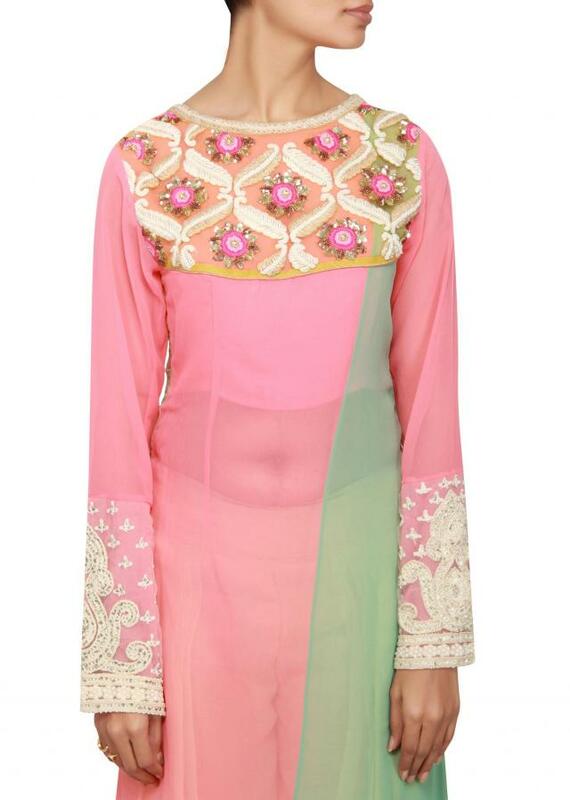 Featuring a peach and holiday green georgette a-line salwar kameez. Yoke in orange net embellished in resham and pearl. Full sleeves in peach georgette with embellished cuffs. Border is in gotta patti work. It comes with a beige georgette palazzo pant. Dupatta is in beige chiffon with gold border.